We collect our clients from all hotels, guesthouses, private homes or the airport. 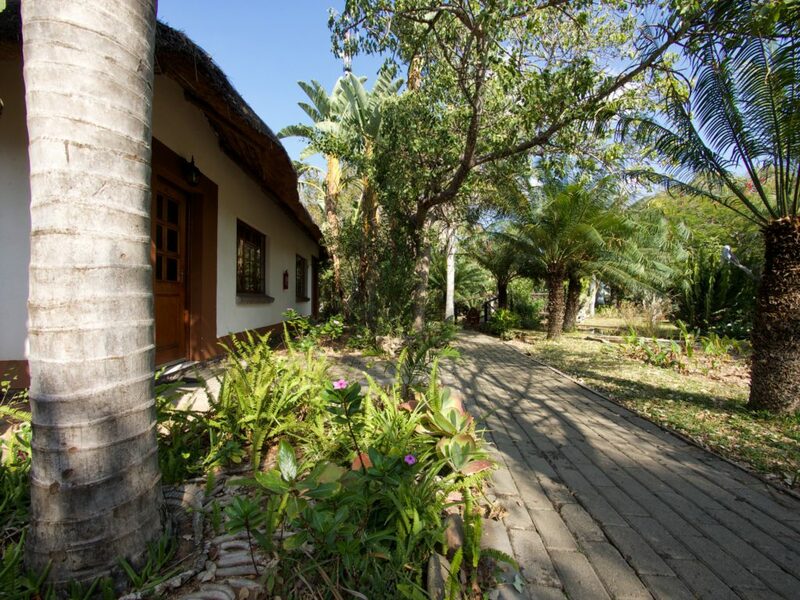 We drive in an air-conditioned vehicle via the Highveld farmlands to the picturesque Lowveld and Tremisana Lodge. You may rest in your air-conditioned chalet, have a quick refreshing dip in the pool, unwind at the bar or relax in the beautiful gardens. At around 17h00 we board the open Landcruiser for an exciting Big Five Sunset Drive. Your qualified guide will facilitate your first thrilling opportunity to experience the varied African fauna and flora. Watch the magnificent African sunset, and after darkness falls, use powerful spotlights to locate nocturnal animals. Dinner will be a BUSH BRAAI at the Marula Tree Boma deep in the bush. Overnight in comfortable, air-conditioned en suite thatch-roofed chalets. Drive to the Orpen Gate of Kruger Park. Your custom-built open-sided vehicle allows for a total wildlife experience – you will not only have time to view game, but also to listen to and smell the African bush and its denizens. The absence of windows and elevated position allow for excellent photographic opportunities. The Orpen/Satara region has the greatest concentration of animals in the whole of Kruger Park. You will have a great day of game-viewing and bird-watching in this truly outstanding wildlife paradise. Enjoy an early morning Sunrise Drive on the open Landcruiser. After a hearty breakfast, there is an opportunity to purchase some memorabilia from our shop and take your last photos of the lush luxuriant gardens at Tremisana. We then drive to the awesome Blyde River Canyon and view the Three Rondawels. We return to Gauteng in the late afternoon. Airport dropoff by arrangement.